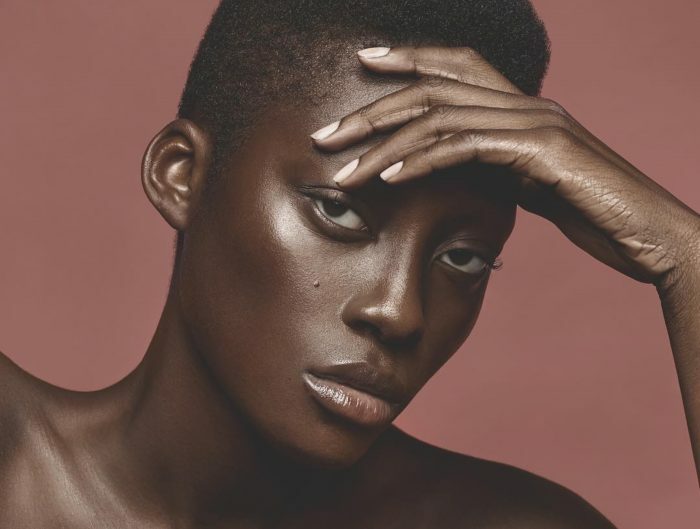 The world-renowned actress, model, and music producer, Jon Mack recently featured in our anniversary print issue photographed by Fabrizio Piscopo and we got to chat more with her for an exclusive online interview. Read more below. At what age did you begin your acting and your musical career? I began acting very young at 5 on stage. My mother was a theatre director so it was part of my life from the very beginning. Music was a little later like around 7 or 8 and that was something I found completely on my own. I was just inexplicably drawn toward music from that early age, more so than anyone else in my family. What would you say is your best quality as an actor? That is a tough question for any actor to answer. I would like to think that it’s the honesty that I attempt to convey in my work. It’s not always predictable which is what makes it exciting for me. You have worked on a variety of different films, with huge fellow actors including Gerard Butler, Uma Thurman, and Will Smith. Which film did you most enjoy working on? I’ve enjoyed every film I’ve worked on for the experience in itself. I feel that my favourite films have been the ones where I get to stretch my wings a bit and show more aspects of a character than just a brief glimpse. Both “Playing for Keeps” and “After Earth” were great experiences working with fabulous actors. I’m grateful for all of it. Horror fans know and adore you for playing the part of Jane in the sixth instalment of the saw franchise. Did you find it challenging to play such a troubled character? I like troubled characters because I believe that we are all troubled in some sense of that world. Life can be troubling and that’s why art and film is created. We work through our troubles by exploring these things that can be upsetting. I’ve always been intrigued in peeling back the layers and the darkness is something that most actors and artists are drawn to because it shows the deepest levels of our true nature. We are both. We always have been. You have recently starred in two science fiction action films – Mind Blown and Doomsday, of which are set for release next year. Can you tell us a little more about the films and the parts you play? Both films are directed by the wonderfully talented Christian Sesma. I can say that both films are a lot of fun and something I think audiences will enjoy. Mindblown is a sci-fi disaster film which also touches on the supernatural so it’s a very interesting blend. Doomsday has elements of a Big Trouble In Little China caper mixed with global catastrophe. It’s got humour and explosions so there’s something for everyone. What I love about these films is that I finally feel that I’m getting a chance to play characters more suitable to me and it’s exciting to expand and play things outside the norm. I never felt comfortable in the norm and now I have a chance to put my fingers in the finger paints and really get my first taste of expressing myself with a fuller palette. Movies and television seems to be a big part of your life, but being an accomplished musician, singer, and music producer. Would you say you love music as much as acting, and if you had to pick only one career path, which would it be? People ask me this all the time and I don’t see any reason to choose one. I love both for different reasons the way a parent loves their children equally yet differently. Music is something that I have pretty much full control over and can do at any moment given the fact that I also produce my own work. I can’t see life without music so it’s very second nature to me and something that is just a part of who I am. Acting is also fulfilling in another yet equal way in the sense that I love to tell a story and embody a character. Great acting is channelling and serving a higher purpose which in itself is quite amazing and an honour to participate in. With 3 albums since 2009 and are set to release another in 2017. Could you tell us what to expect musically from you in 2017? I’m in the midst of finishing the new Auradrone ep so audiences can expect to see a few new tracks as well as a new video and maybe some other surprises. Auradrone is scheduled to play our first gig this year after a long hiatus in January at “Bring the Light Festival” benefit concert at the Hollywood Avalon so there will be more shows on the horizon. A little bird told us you are extremely passionate about preserving endangered wildlife – so much so that you starred in a music video titled Weapon of Choice to raise awareness about the terrible devastation caused by poaching and hunting. Could you tell us more about this? I started Defending the Endangered in 2015 as a collective of creatives who wanted to use our talents to raise awareness and money to help with the poaching crisis. We are now in the middle of planning a celebrity gala for February in Los Angeles. We currently work with 3 non-profit groups Rhino Rescue Project, Black Mambas and BLES elephant sanctuary. You are a self-taught audio engineer, music producer, and video editor, and clearly have masses of ability to accomplish so much. Were these things you felt compelled to do? I didn’t feel compelled at first but I learned out of necessity which led me to actually start to enjoy the process. It’s too difficult to wait around for others to realize your own vision. Everyone is so distracted these days so I find it easier to have these skills that I can use when I need to. It gives me an upper edge in knowing how to pull off what I actually want or envision with my work. I’ve done it for many years now and I’m at the point where I do actually enjoy working on my own material for the most part. The process can be fun even when it’s tedious. To me, these artists are all the real deal and were completely honest and fearless in their work. Honesty and fearlessness are both rare and something that cannot be denied. From Hollywood Studios to a fashion set in Cannes in a yacht and a castle. How was working with the Photographer Fabrizio Piscopo in the fashion story published by FRUK Magazine? Fabrizio is always a joy to work with. He’s very talented yet humble which to me is a golden combo. He makes the shoots low pressure yet fun and always has a great team. 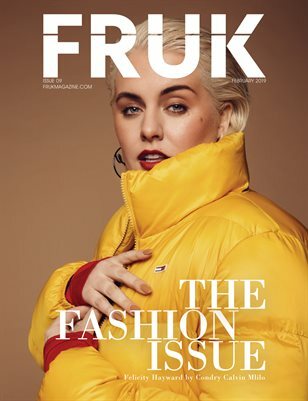 I had a great time shooting for FRUK in Cannes with Fabrizio. What’s not to love? When you aren’t working, how do you enjoy spending your time? I love projects and tinkering with things. Aside from working with animals, I really enjoy arts & crafts and making things with my hands. I’ve painted from the time I was young so it’s always in me to be doing something of this nature. I really like learning new things. Finally, what advice would you give upcoming actors and musicians? As cliché as it sounds, you really must stay true to yourself no matter what. Remember why you chose this path in the beginning and make it about the work. You are just a conduit so remember to stay humble and keep your sense of humour. Humour will get you through the darkest of times. Lastly, I would say to always honour those who stick by you in tough times. These are your support system and they will keep you grounded and afloat throughout the ups and downs on this adventure.